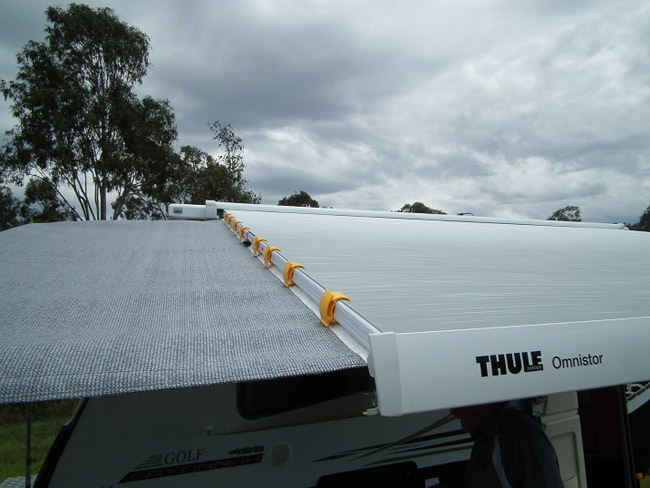 The BARE, standing for BBQ Awning Roof Extender, is Sunbusters answer to the all new modern outside slide out kitchen. 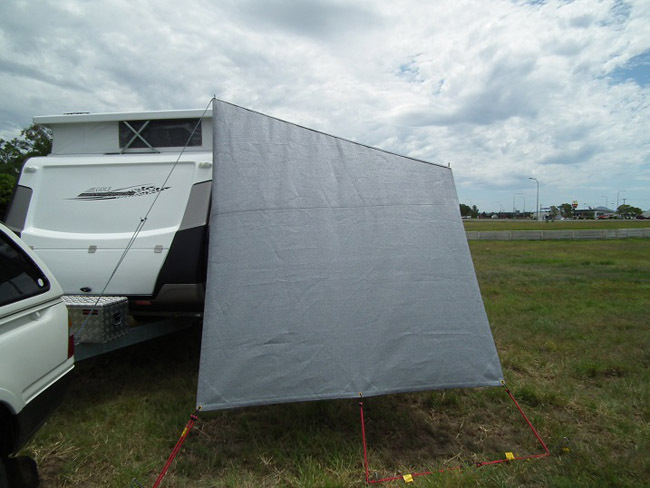 It is designed so that protection is afforded the area where cooking is undertaken from the elements of wind, sun, and rain. As you all know, Sunbusters are 97% water resistant so in most camping situations the BARE is adequate. Should a 100% water proof roof be required then it is available at a modest extra cost. Designed in a way which also provides an entry vestibule to your private lifestyle. Made from Sunbusters iconic material, the BARE is of course heat resistant, wind proof, and has excellent sun protection. 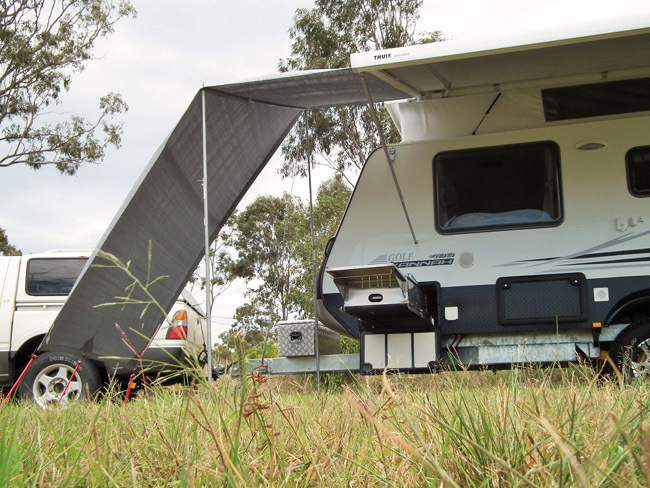 The entire BARE can be placed out on tent poles to provide a great canopy for festivities such as the happy hour sausage sizzle. 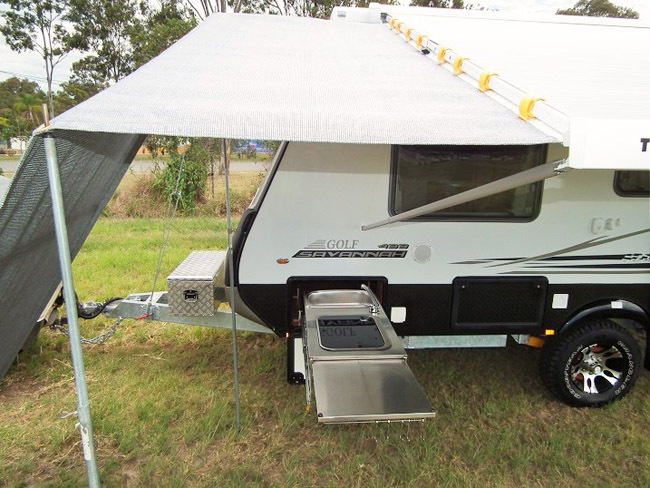 The BARE is available for both the front and the Rear of the awning. 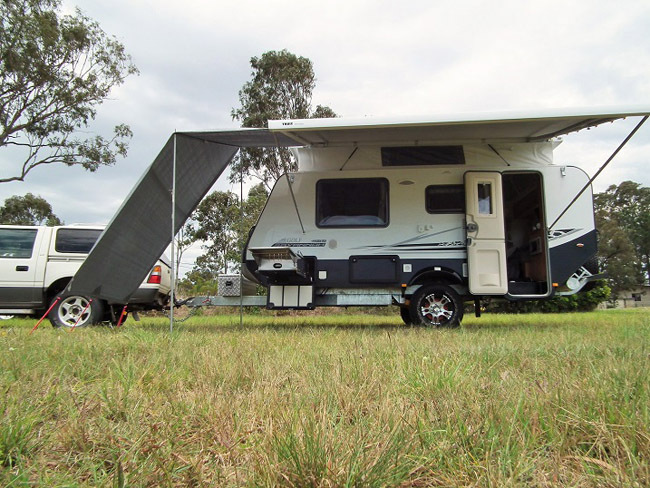 Any awning is appropriate to be used, so if you have an Aussie Traveller, Dometic, Carefree, Colorado, Fiamma, Thule, Omnistore or Prortor, the BARE is for you. Matched with an Anti Flap Kit like the Grasshopper, it’s a perfect fit! here and check us out online.